InMotion started in 2001 and has been CNET certified for 15 years. This web host offers a range of hosting services, including business, dedicated, VPS, reseller, and WordPress. InMotion’s hosting is all based on Linux servers, which sets it apart from some of the other web hosts out there. Our mission is to dive into the ins and outs of the provider to find out why they’re worthy of their reputation. We’ll cover the pros and cons to InMotion’s web hosting, including their pricing plans, speed and uptime, features, customer service, and more. InMotion don’t have a specific shared hosting plan like most other web hosts, they’ve split the category into two sub-categories of Business Hosting and WordPress Hosting. They’ve obviously done their research into the market, as most people who use shared hosting either require the services for their business, or for their WordPress website or blog. If shared or WordPress hosting isn’t for you, InMotion offer plenty of other pricing plan options, but for the purpose of this review, we’re testing InMotion’s shared hosting. All of InMotion’s business hosting plans include SSD drives, a 90-day guarantee, free data backups, 1-click installs, and a choice of data center. Launch plan starts from $5.99 per month, including a free domain, 2 websites, unlimited disk space, bandwidth, emails, and a few other tools to get your started. 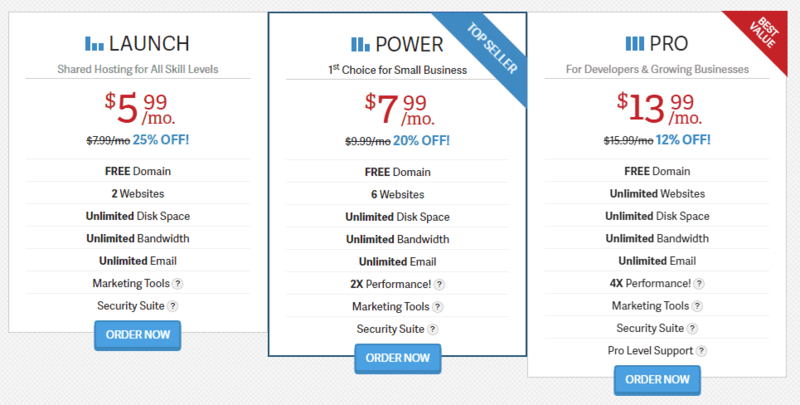 Power plan starts from $7.99 per month and is tailored more towards small businesses who are growing, or medium sized businesses who are comfortable with what’s on offer. The plan includes the same features as the launch plan, with an upgrade of 6 websites, and 2x performance. The performance increase allows you to gain access to more server resources, such as, RAM and CPU. Pro plan starts from $13.99 per month and is designed for those who want unlimited everything, with a little added extra. The pro plan is completely unlimited, with 4x performance and pro level support. The pro level support guarantees a 99.9% uptime with a free web hosting guarantee if they can’t meet their promises. Overall, InMotion’s shared business plans are reasonably competitive; when you consider other hosts offer cheaper prices for less features, InMotion does present some attractive choices. The only thing that did surprise us was the 99.9% uptime guarantee for Pro customers – surely, as a web hosting company, this should be offered to all customers? We’ll come back to this point later on in our speed and performance tests. InMotion’s WordPress hosting plans all come with free SSD storage, managed security, and managed WordPress updates. 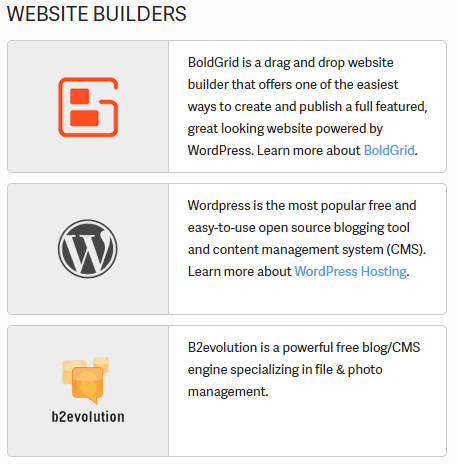 WordPress is pre-installed on all servers, and are optimised for the best WordPress experience possible. Again, WordPress hosting plans offer a 90-day guarantee, and all come with a free domain. There are 6 WordPress hosting plans that InMotion offer – we’re not going to cover all of them in detail because they don’t differ too much, aside from a few features. All plans include unlimited bandwidth, email accounts, SSL certificate, cPanel, and 24/7/365 U.S. based support. The only real difference between InMotion’s WordPress hosting plans is the amount of websites supported, recommended monthly visitor allowance, and disk space. All of their plans (apart from WP-1000S) include premium WordPress themes and a plugin subscription, and their WP-4000S, and beyond, plans include a dedicated IP address. Although InMotion don’t guarantee a 99.9% uptime rating for every hosting plan, we wondered if their actual performance could negate this. We signed up to InMotion’s ‘Launch’ business hosting with a free installation of WordPress. We set up a test website for the purpose of monitoring (in real-time) the speed and performance that our website received whilst hosted with InMotion. Here is what we’ve found so far. Although we hadn’t done much to our test website, we were pleasantly surprised with the load time scores from our InMotion hosted site. With a 95/100 score and a load time of 1.67 seconds, we were reassured that our website would continue to load quickly for our users. We monitored our test website every minute to test InMotion’s uptime and performance. As you can see, we’ve had no outages and a 100% uptime score, monitored by Pingdom. The average response time we were receiving on our test website was 553ms, where it peaked at 861ms. Those figures may appear high, but when you convert that into actual seconds, that translates to a response time of 0.5 seconds which we are very pleased with! InMotion present a wide range of features as part of their hosting services; pretty impressive features too, and some we’ve never seen in the hosting market. 90-day guarantee: Most hosting providers offer some sort of money-back guarantee if you’re not happy with their services; usually in the range of 30 days. However, InMotion come out on top with a whopping 90-day guarantee – clearly services to be proud of in order to offer a 3 month policy. Free site transfers: It’s quite common for web hosts to offer a site transfer, meaning you’re currently hosted website elsewhere can be transferred (with all of its data intact) to your new web host. However, a lot of web hosts actually charge for this service; InMotion don’t, which is great, but they don’t offer a no-downtime guarantee, which other hosts do. Domains: Although InMotion’s pricing isn’t as competitive as some other web hosts, they do offer a free domain with every hosting package. Now, that may not be a deal breaker for some users, but being able to nab a domain name as well as hosting in one package is pretty good in our eyes. WordPress themes: Aside from the most basic WordPress hosting plan, all of InMotion’s WordPress plans come with premium themes and plugin subscription included. This is a really great feature if you plan to use WordPress for your blog or website, as premium themes on their own can be pricey. 1-Click Installs: A firm favourite with most web hosting companies, InMotion offer 1-click installs with their hosting packages, making it easier than ever to install popular applications like WordPress, Joomla, PrestaShop, and hundreds more. Website data backups: InMotion really do put their customers first, and they don’t charge for the pleasure either. InMotion offer their customers up to 10GB of free data backups so you can be reassured that if anything were to go wrong, all of your data wouldn’t be lost. 10GB might not sound a lot, but most websites rarely go beyond 1GB of data, so 10GB is pretty generous (for free). Google integration: Setting up a new domain, web hosting, and website is all well and good, but when it comes to using your favourite apps to integrate with your account, things can get a little tricky – especially for beginners. InMotion offer free Google Integration, so if you want to link your new email address to your Gmail account, InMotion will do this for you, again, free of charge. Security: InMotion are on the top of their game when it comes to security, offering free SSL certificates, hack protection, automatic backups, and DDoS protection within their hosting plans. All in all, it’s hard to complain or find faults with InMotion’s features; they really do go above and beyond for their customers, considering every detail to make their user experience truly exceptional. Not surprisingly, InMotion’s customer service was 100% on the ball. In honesty, we almost felt a little overwhelmed by the amount of support this web host offered, including, live chat, Skype, telephone, email, support ticket, and an extensive library of helpful tools. Although InMotion are U.S. based, their support is available 24/7, so regardless of which country you live in, it’s always possible to contact them. We wanted to test their live chat support from the U.K. where we are based to see how quickly they responded. We spoke to one of their advisors, Lee, who was very helpful and was able to answer the questions we had quickly and efficiently. When we joined the live chat, it took a mere few seconds to connect to the system and receive a response to our question. Their Support Center contains every piece of information you could possibly need, with FAQs covering a range of topics, product guides for each of their services, email and website tutorials, resources, a community forum, and even their own YouTube channel. Although it’s unlikely, we’re confident that if you ever weren’t able to contact someone via customer services, the amount of information available on offer would be enough to resolve any problem. With many web hosts competing in the market, as you’d expect every host is different. They all offer their customers a variety of different features and services bringing pros and cons in alternative ways. We’ve put together a list of open and honest pros and cons for InMotion’s hosting based on what we’ve found. Free migration is offered with InMotion’s hosting plans, allowing you to transfer your existing website and files from another host to InMotion. In fact, InMotion can transfer your entire cPanel free or charge, and will do all of this for you without any downtime. 90-day money-back guarantee is something that InMotion offer, where other hosts generally offer 30 or 60 days. 3 months to decide whether you like a host or not is a very reasonable amount of time, and indeed very generous of InMotion. Free SSL certificates are offered on every InMotion hosting plan, meaning you can get an eCommerce website up and running without the worry of having to pay out more money for your SSL. SSD storage is provided with all of InMotion’s hosting plans. Gone are the days of slow mechanical hard drives, as InMotion ensure that they keep up with the latest technology and don’t charge any extra for the pleasure. Data Center choice is few and far between with a lot of web hosts, however, InMotion allow you to choose which data center is best for you. You can make a decision as to which location suits your target audience in order to get the most out of your website. Yearly billing cycles can be frustrating when you’re presented with a monthly amount; InMotion display their packages in monthly values, but this figure only represents what you’d pay monthly, when you select a 1 year or 2 year package. If you want to pay monthly you’ll have to select InMotion’s Pro package which is more expensive. Affordable plans are not InMotion’s strong point; they’re certainly not the most expensive web host, but they’re not the cheapest either. 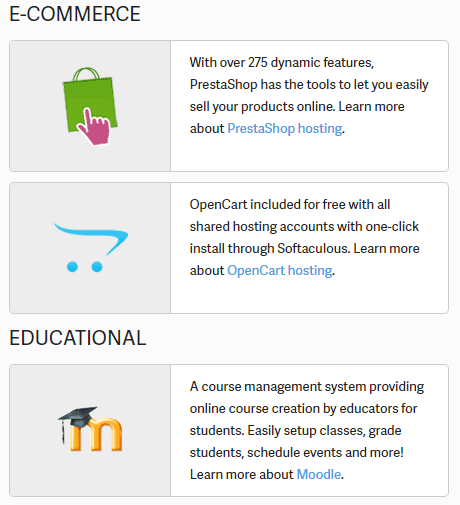 On the flip-side, their hosting plans do come with a lot of features and services for free. It’s hard to summarise InMotion’s web hosting services with anything but positivity. Their pricing plans were clear, concise, and contained everything we needed to know, or wanted to know before purchasing. Their servers were fast, regardless of the location, which is a must if you’re looking to implement an SEO strategy for your website – after all, page speeds are a rating factor and should be taken into consideration when choosing a web host. Their support was simply out of this world; with every method under the sun to contact them, we never felt like we were left in the dark. Their advisors were able to answer our questions quickly and effectively, without any long wait times – this came as quite a surprise considering that they’re based in the U.S., but they’re available 24/7. If you’re a beginner, or just want a small personal website, you may find that they offer too much for the price; features that you may not want or need. 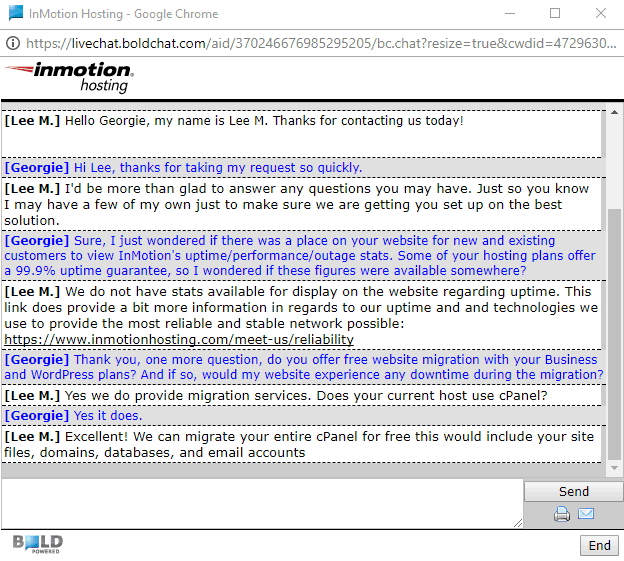 However, if you’re looking for a solid web hosting company for your business, we’d highly recommend InMotion. Whether you’ve designed your website yourself, or want to use a website builder like WordPress, InMotion can provide you with a top rated service that’s easily upgraded should you want more in the future.